The England international has been in stunning form since leading the line regular under Ole Gunnar Solskjaer and this has included six goals from the previous seven league matches. 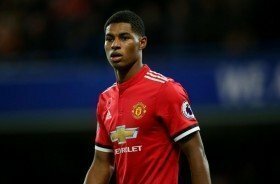 Speaking on Sky Sports News, the former Reds captain highlighted that Rashford should be leading the attack in the long-term with Romelu Lukaku providing competition for places. "The form he's in at the moment, if he continues that, they won't need to buy anyone else or bring Romelu Lukaku back into the side. He can be United's main man," he said. Rashford was guilty of squandering a couple of clear-cut chances against Leicester City on Sunday but he still managed to find the scoresheet in a slender 1-0 triumph for United in the end. The victory has propelled them to fifth on the table ahead of Arsenal.